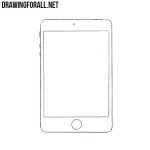 Hello dear artists! 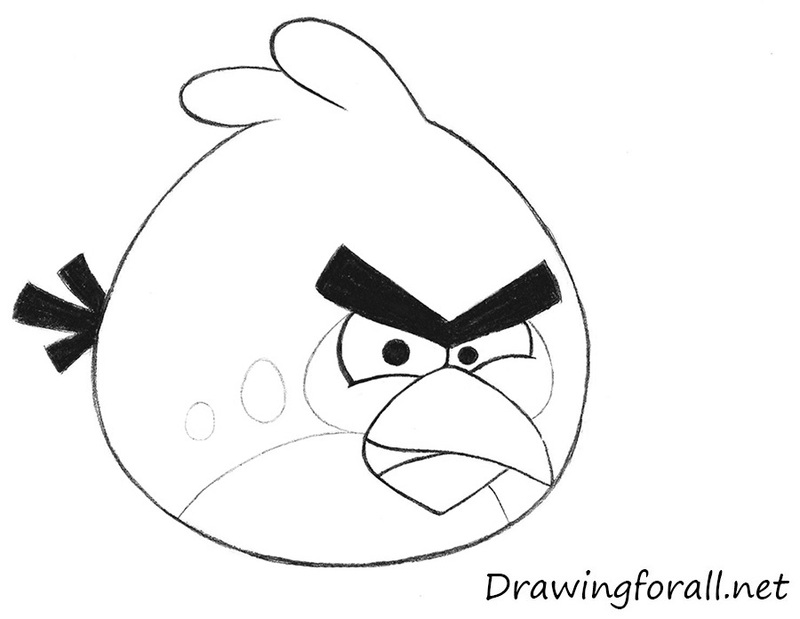 Today we bring you a new drawing lesson, in which we will show you how to draw angry birds. We will draw the most popular bird of this popular phone / computer / tablet / console / and-a-bunch-of-platforms game. 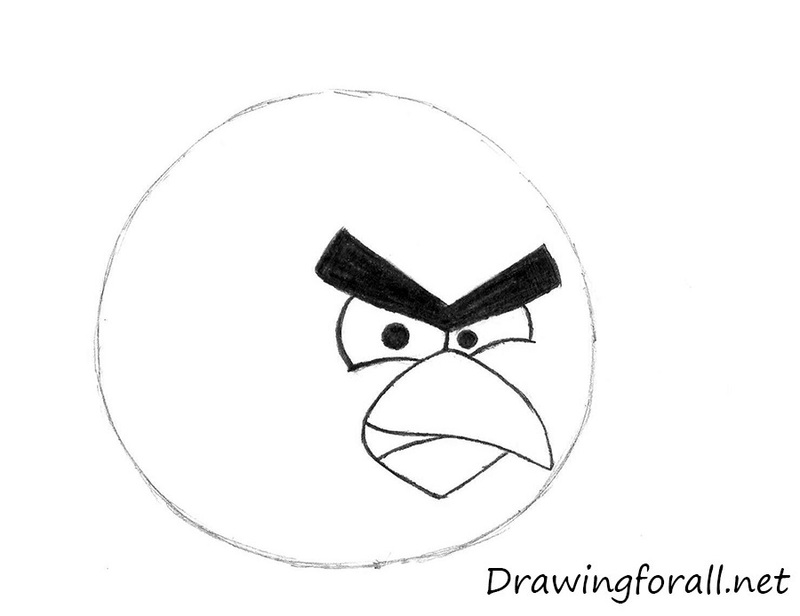 As the object of drawing we chose Red Bird. It is this bird has become, as we have already noted, the most famous character in the game and, in fact, the main logo of the game. 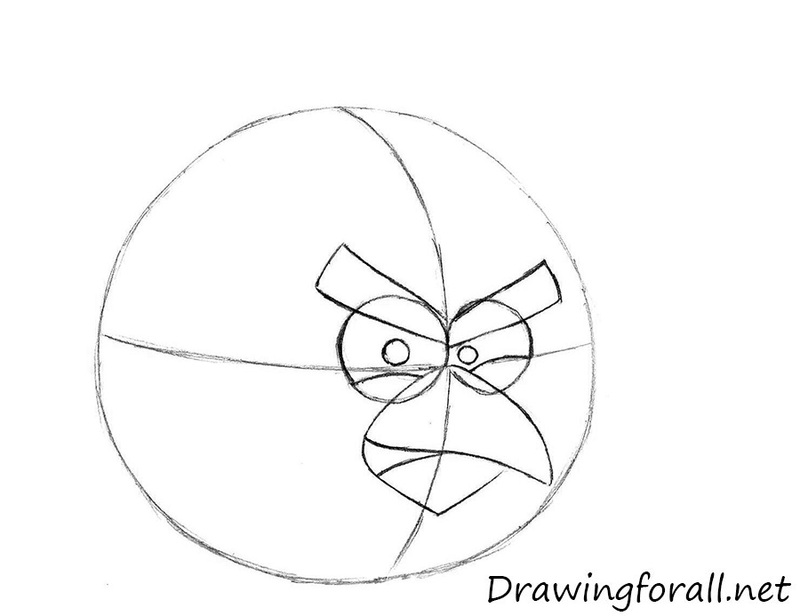 So, let’s start the tutorial, and learn how to draw angry birds! 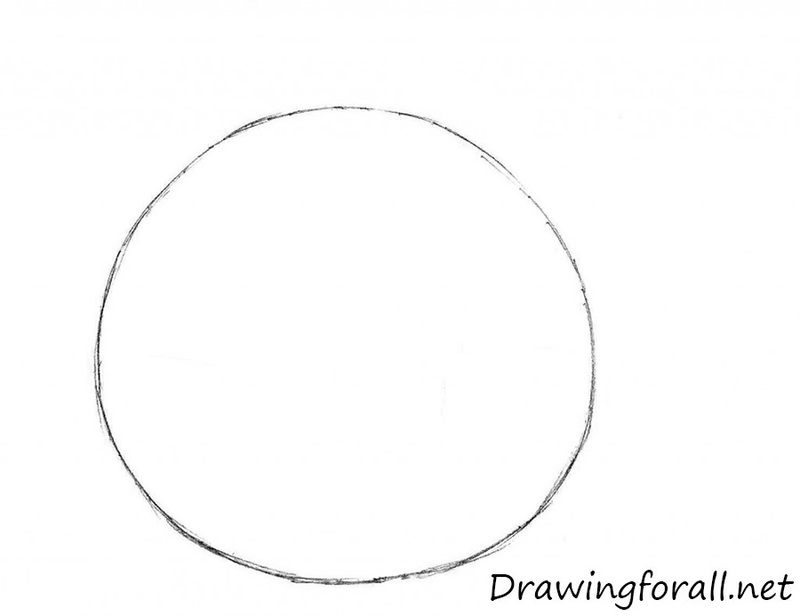 First things first we draw a circle. With the same action, we started the drawing lesson about Eric Cartman. 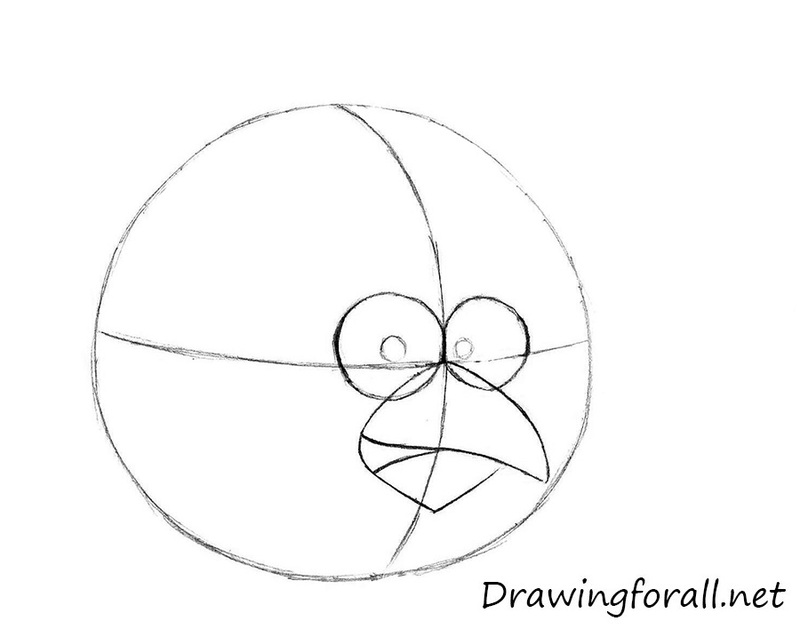 Now draw the lines of facial symmetry. 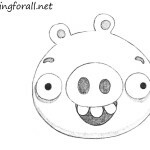 The vertical line will help us to find the center of the face and the horizontal line will help us to draw eyes. Note, that in the first steps you should not press down too hard on a pencil. Right below the line of the eyes draw a beak. Note, that the beak consists of three triangles. 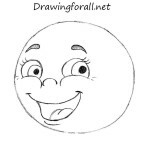 Using the horizontal line from the second step draw the eyes. Draw pupils in the eyes. Draw eyebrows which are slightly tapered towards the nose. 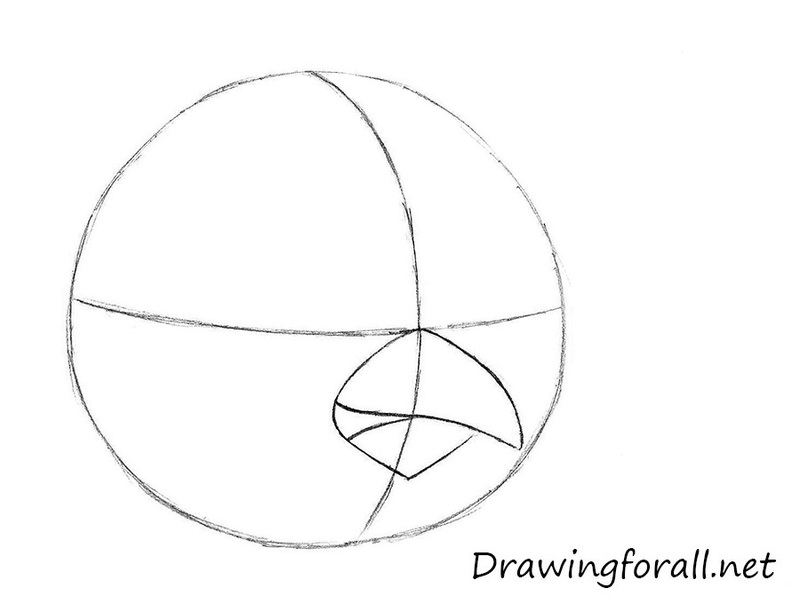 Using curved lines draw the lower eyelids. 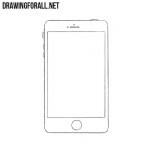 Draw the unnecessary guidelines and strokes. Paint out the eyebrows and pupils. Darken the lines of the eyes and beak. 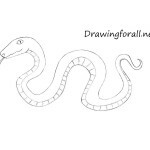 Draw feathers – two large and rounded at the top of the head, and three smaller and rectangular in the area of the tail. 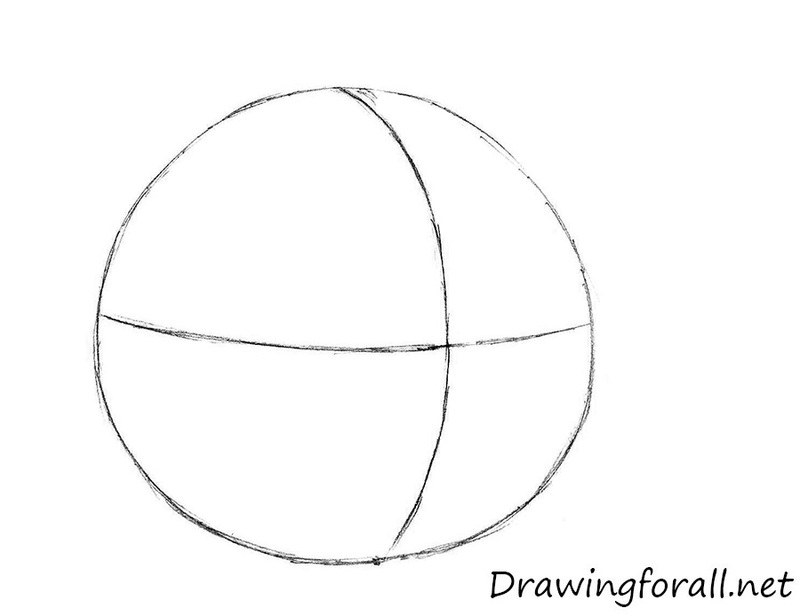 Make the outlines slightly flattened, in order to get a shape of the egg. Darken the lines. Paint out the tail and draw patterns in the area of the eyes and the bottom. 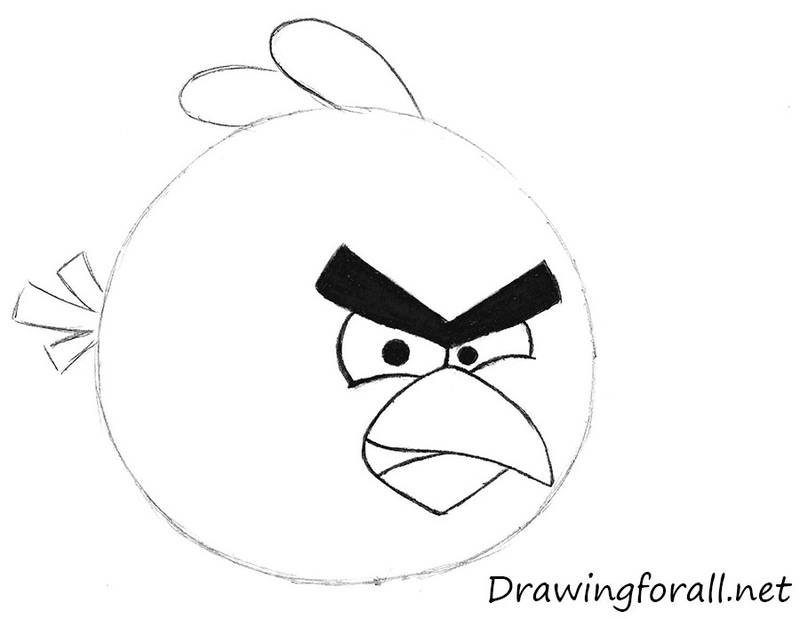 It was drawing lesson on how to draw Red Bird from Angry Birds. If this tutorial seems to easy for you, visit our drawing lessons about how to draw Wolverine and how to draw a samurai. Goodbye!